The ceremony of the unveiling of art works chosen by the city of Saint Lazare. 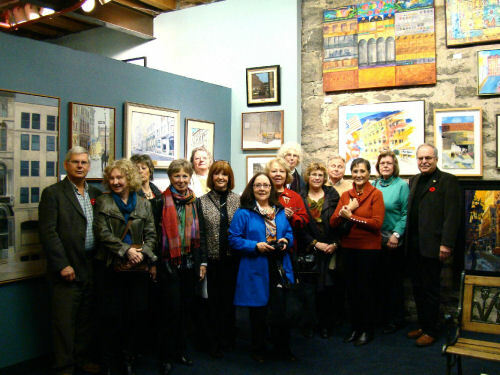 All 15 participants, including six of our members, Denise Paquette, Lilianne Partikian, Bev Brown, Gisele Lapalme, Joanne Lavigne and Pauline Volh were rewarded and their paintings and sculptures are now permanent collections of the city of Saint Lazare. The children's canvases were offered to the Palliative care to brighten up their walls with children's artistic expression. Also, at the Market Place Artist Tent, 36 kids came to draw, 3 moms, 2 dads, and two grandfathers. Quote from Marc Giroux "A most enjoyable day. Great festival, superb organisation, outstanding location, the finest of weather but most of all, in a very unique way, I marvelled at what you achieved with the children." Ljubomir Ivankovic gave a talk & demonstration on painting according to the great masters’ techniques. 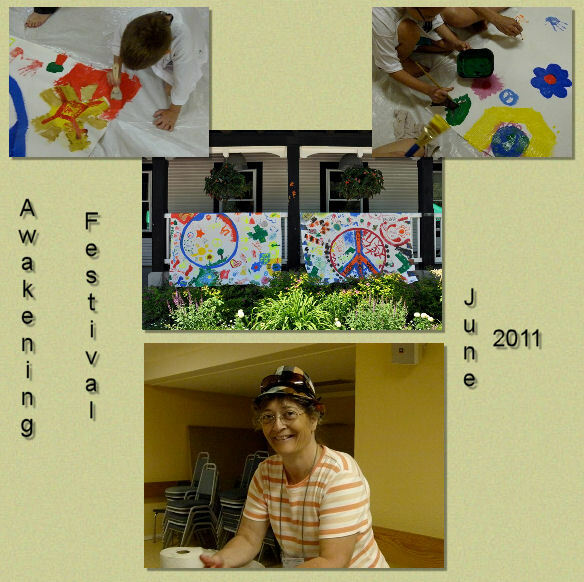 October 2011: La Caisse Desjardins de Vaudreuil-Soulanges has chosen paintings by Gisele Lapalme, Denise Paquette and Ginette Parizeau. The images of their paintings were printed on cards. Out of 24 entries, 10 were chosen. 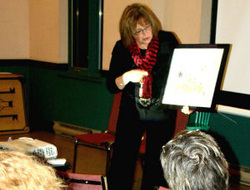 Gave a talk to the AHA group on creativity & the inspirations behind her art. 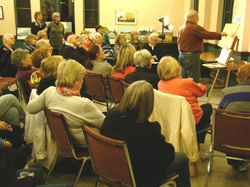 Demonstrated his method of painting landscapes in oil. Working from a photograph reference, he created a beautiful painting from start to finish in just 1-1/2 hours. 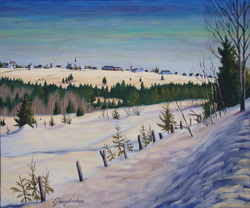 He generously donated this painting as a doorprize to be raffled to the AHA members who watched the demo. Malle Jurima-Romet was the lucky winner of this door prize.